Looking for the best natural sweetener for diabetics? The diabetes capital of the world with as many as 50 million people suffering from type-2 diabetes, India has the challenge to face. 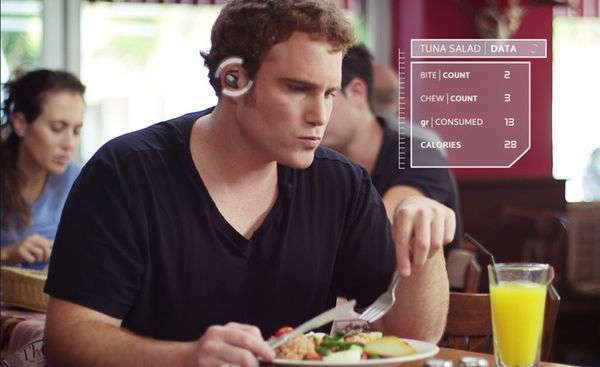 However, medical experts feel that timely detection and right management can go a long way in helping patients lead a normal life. Diabetes might be one of the most talked about diseases across the world and especially in India, but awareness about the same can well be estimated by the fact that India today has more people with type-2 diabetes (more than 50 million) than any other nation. Zerovia is a sugar substitute which was born with a vision to create a quality product and is 100 percent natural and is good for your health and your loved one’s health. Zerovia believes that small changes in life can bring complete wellbeing so that’s why they put their heart and soul into creating products which is the best sugar substitute and that is trustworthy, genuine, and help our consumers reach their wellness goals every day. Zerovia is a natural Sugar substitute for diabetics and made especially towards maintaining the health of the planet, people and nature, we are on a journey towards creating complete wellbeing with every touch of Zerovia. Stevia is a plant native to South America that has been used as a sweetener for hundreds of years. Today, zero-calorie stevia, as high-purity stevia leaf extract, is being used globally to reduce energy and added sugar content in foods and beverages. Overall, stevia shows promise as a new tool to help achieve weight management goals. Stevia is a naturally sourced, zero-calorie sweetener that has been used as a natural sugar substitute and flavoring ingredient for hundreds of years. The stevia plant is native to South America and was first consumed there over 200 years ago when the indigenous people used leaves of the plant to sweeten beverages or chewed them for their sweet taste. The plant leaves often called “sweet herb,” were dried and used to sweeten teas and medicines or simply chewed as a sweet treat.. Stevia sweetens up anything, from coffee to smoothies and even delightful desserts Stir in the perfect sweetness created with the purest form of stevia Zerovia products are the best natural sweetener for diabetics and ideally for those who think that small changes can lead to a whole new lifestyle of wellbeing. 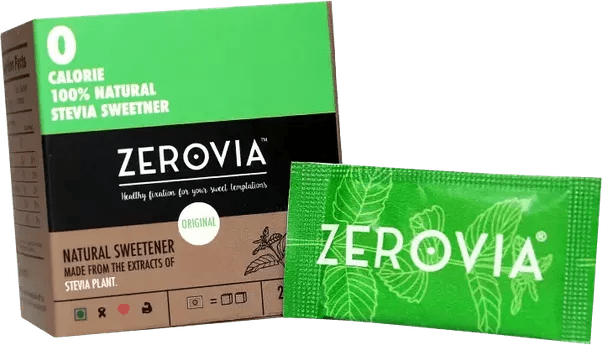 Zerovia is a sweetener and best natural sugar and the best natural sweetener for diabetics made from stevia, a plant traditionally used to sweeten foods and beverages naturally. It is processed using stevia leaf extract and other natural ingredients Our products are processed with no addition of artificial flavors, enzymes, or solvents. So by choosing Zerovia, you will never have to worry about any harmful side effects. Concentrated on the best-tasting part of the stevia leaf, the sweet extract, also known as Rebaudioside A, which goes into Zerovia’s products, assures you of the highest purity and a consistent sweet taste. Zerovia has different forms available, sachets are also available in a pack of 25 sachets and 50 sachets and they have a shelf life of up to 2 years, that is a lot of time. A single packet is even enough to sweeten 2 cups of coffee or tea. Stevia sweetens up anything, from coffee to smoothies and even delightful desserts Stir in the perfect sweetness created with the purest form of stevia Zerovia products are bthe est natural sweetener for diabetics ideally for those who think that small changes can lead to a whole new lifestyle of wellbeing. Stevia sweetens up anything, from coffee to smoothies and even delightful desserts Stir in the perfect sweetness created with the purest form of stevia Zerovia products are bthe est natural sweetener for diabetics ideally for those who think that small changes can lead to a whole new lifestyle of wellbeing. There is these 0 calorie sugar substitute. Subscribe to our mailing list and get free movie tickets & coupons every week to your inbox.